1st May, 2009 – Jaguar Land Rover has confirmed that (hardly surprisingly) it is to begin selling its range of premium performance saloon cars and sports utility vehicles in the Indian market later this year and has today reached agreement with Tata Motors Limited to be the exclusive importer (again, hardly surprisingly since Tata owns Jaguar Land Rover). Jaguar and Land Rover's award-winning vehicles, including Jaguar's XF and XKR and Land Rover's Discovery and Range Rover, are renowned around the world for their unique blend of refined luxury, quality and capability and will now become officially available in this rapidly expanding market. David Smith, CEO of Jaguar Land Rover, said: "We are delighted to be formally entering the Indian market, an economy which is still growing appreciably, and able to offer our premium products to a whole new group of customers. It is an important strategic move for Jaguar Land Rover and will enable us to realise our competitive potential in this significant market." The newly-formed Premier Car Division, within Tata Motors Passenger Car Business unit, will assume responsibility for the distribution of all Jaguars and Land Rovers in India and is also due to open the first showroom at Ceejay House in Worli, Mumbai, in June this year. This flagship facility will offer a range of both Jaguar and Land Rover vehicles and aims to establish a benchmark experience in luxury car sales in India. Rohit Suri, who has extensive premium automotive sector experience, has been appointed to head the new organisation and is leading plans to develop a dealer network through 2009 and 2010. Ravi Kant, Managing Director of Tata Motors, commented: "This is a natural move for both businesses and will allow Jaguar and Land Rover to establish a strong and deserved presence in India. We are very pleased to develop our relationship with Jaguar Land Rover in this way and to provide the opportunity for Indian customers to access their premium products for the first time." 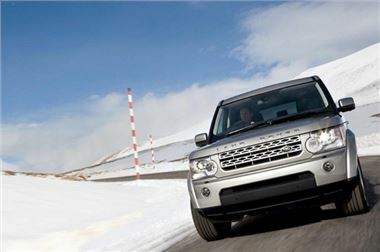 and Land Rover India website (www.landrover.in) which have gone live simultaneously. No comment was made about moving any part of Jaguar Land Rover production to India in the future.